This is the first annual inFEST. We had Cottonwood's Unstable Youth headlining. 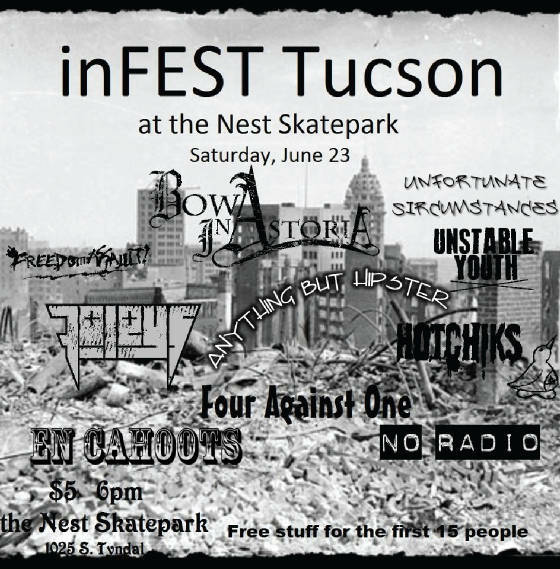 This show was a benefit for the Nest Skatepark to help finish the ramps. With such a great success it is set to be a yearly fest.